A lustrous double album showcasing just why Jasper Blom is one of the Netherlands’ most prominent, forward-thinking saxophonist-composers in contemporary jazz. 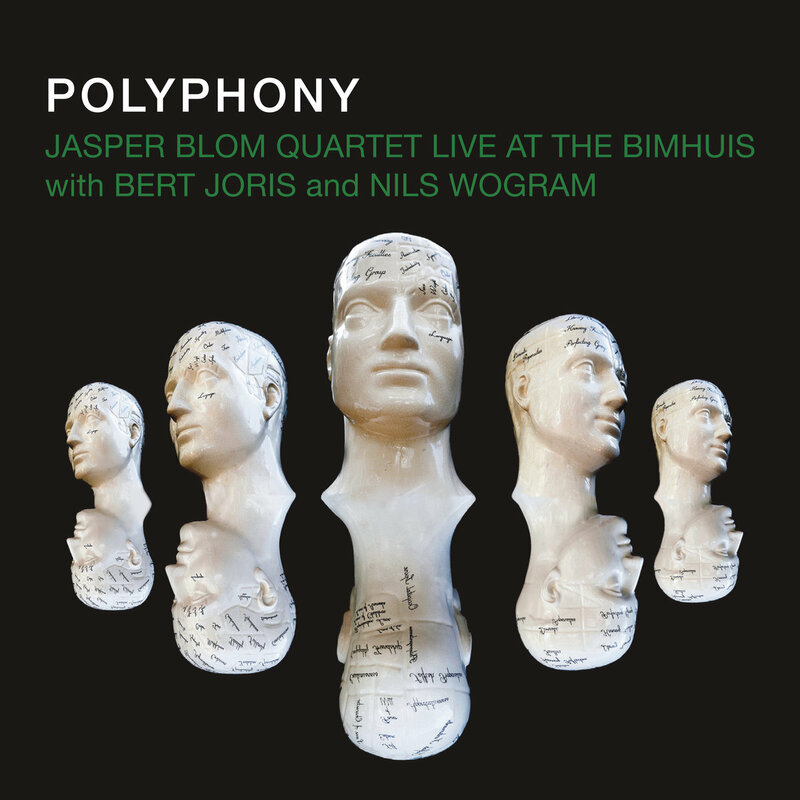 ‘Polyphony’ documents two sold-out live concerts from his quartet at Amsterdam’s BIMHUIS in collaboration with two special solo artists – trumpeter Bert Joris and trombonist Nils Wogram. Across more than 100 minutes, these 16 tracks deliver a polychromatic throng of styles and influences – from mellow dual horns and gyrating guitar in ‘Walz for Magnus’ to pop-mediaeval ‘Virelai’ (after Guillaume de Machaut). FORMAT: High quality, 180 gram, 12” 2x Gatefold LP (4 sides of music – A, B, C, D) – comes with download code containing the digital album in multiple formats.